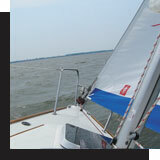 R&R Charters and Sail School can help you pick up your new boat, or deliver your existing boat. We have experience delivering both sailboats and powerboats, up and down the entire Atlantic East Coast, including rivers and bays, Caribbean Islands, the Bahamas and Virgin Islands, the New York Canal systems, and Great Lakes Erie and Ontario. We’ll estimate the delivery for you in advance, based on the shortest and safest route, which will include per diem charges for the Captain and Crew (when needed), all travel expenses, provisions, and all boat expenses such as fuel, repairs, marina fees, safety equipment, etc. 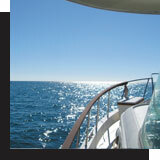 After receiving a signed contract and deposit, we will schedule the delivery, and your boat will be on its way! Are you ready? Sign up for your next level of sail class with Captain Dave, so you can come along for the delivery experience, and learn on the go.